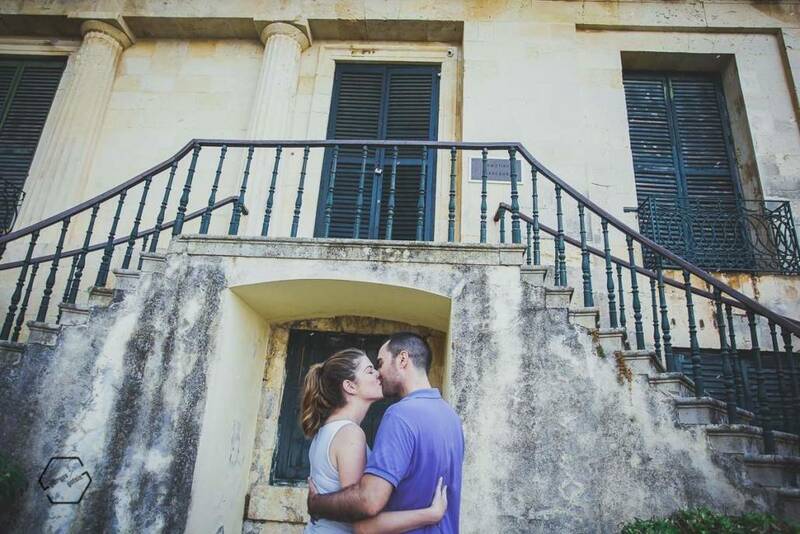 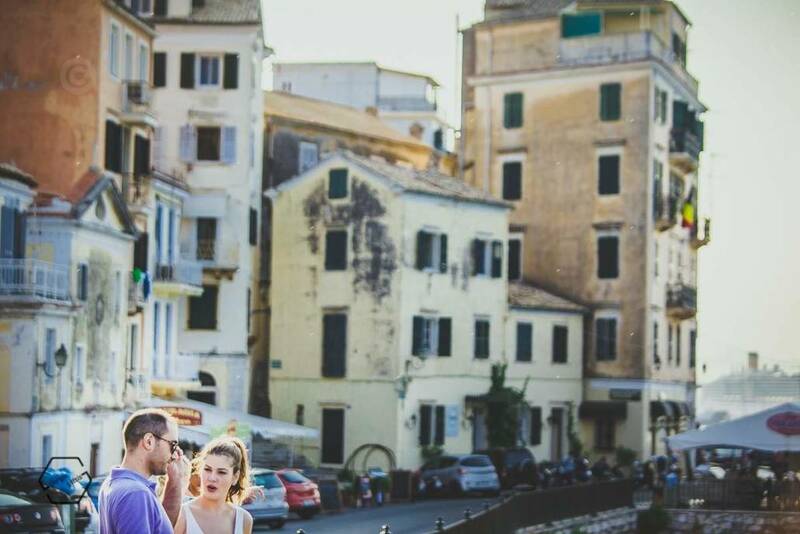 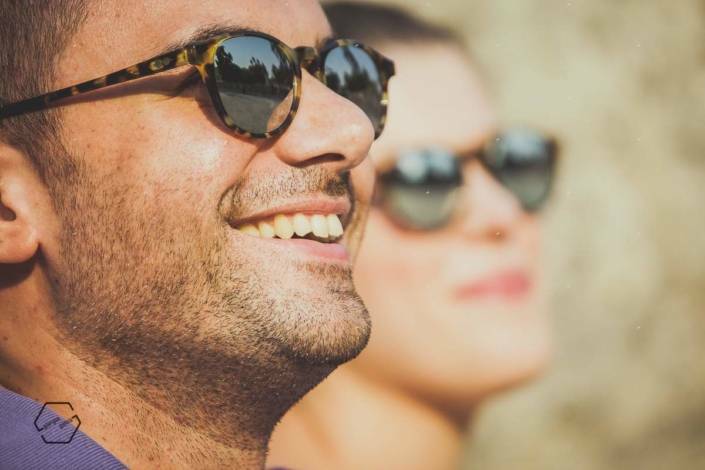 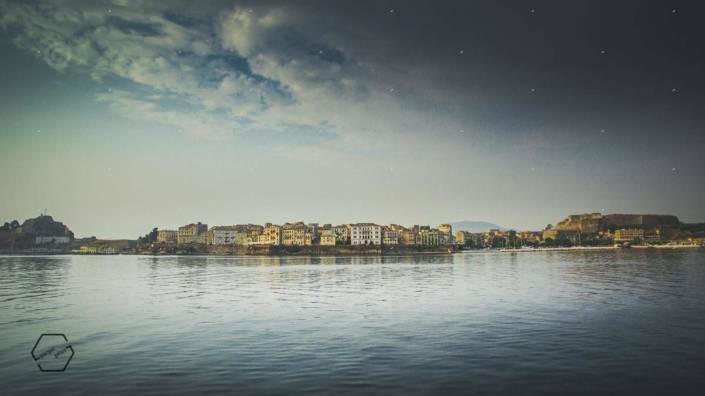 The island of Corfu is a romantic place to make you dream and fall in love. 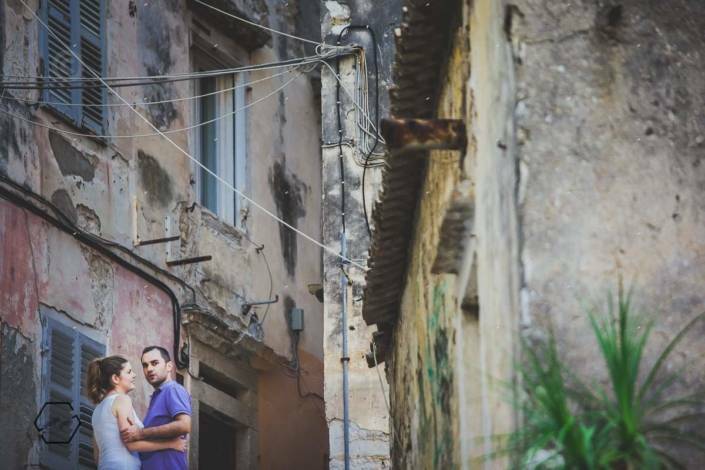 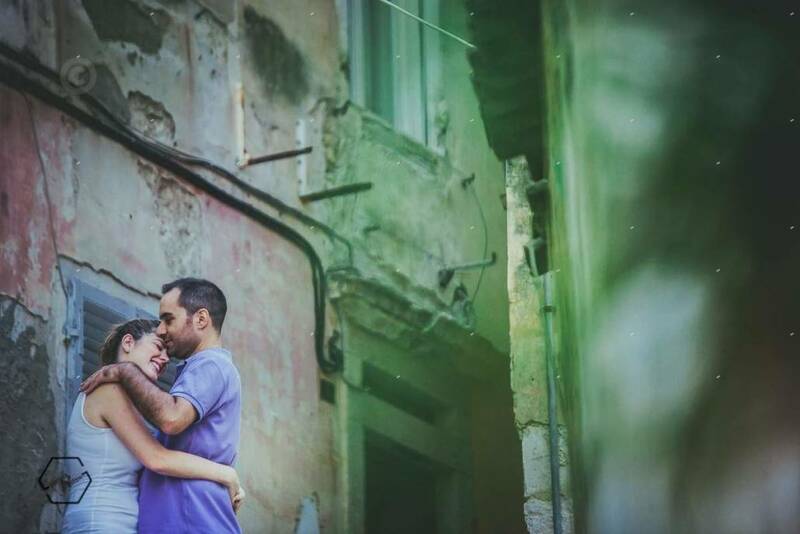 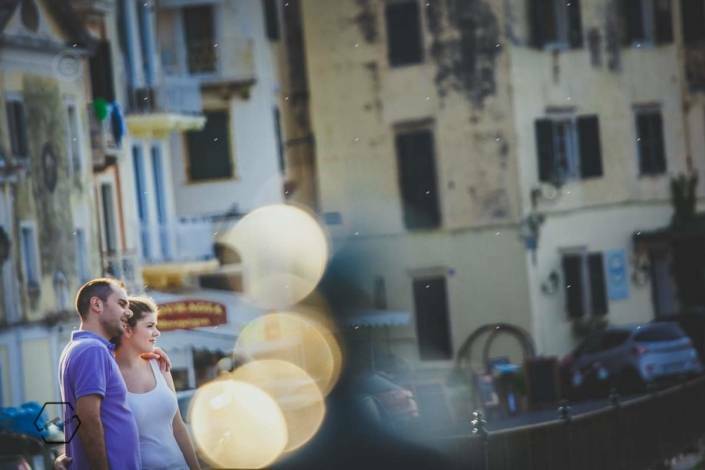 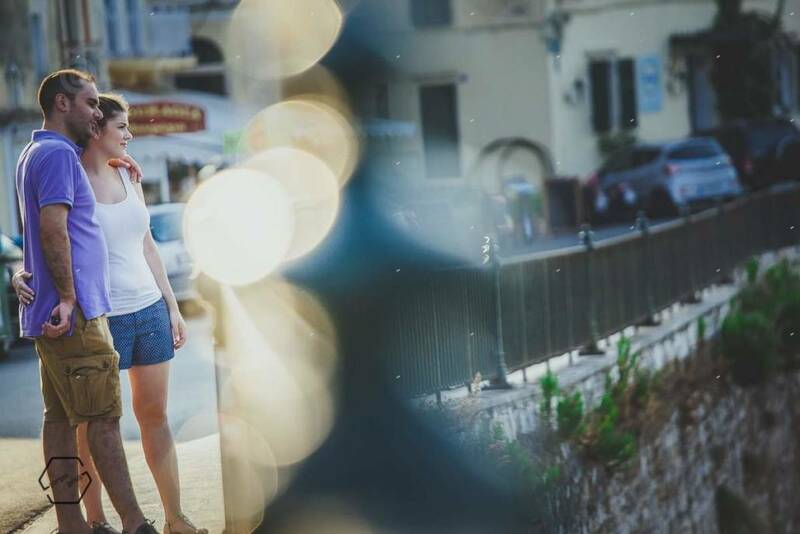 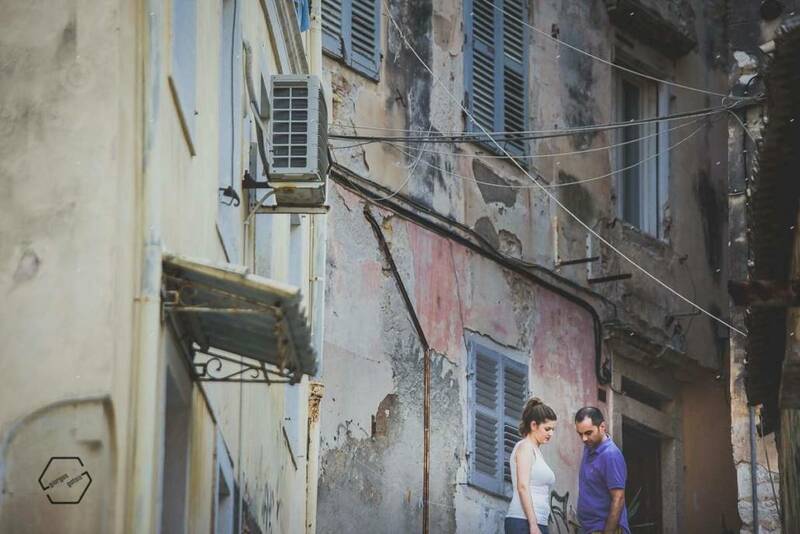 A loving couple in afternoon light on the streets of Corfu. 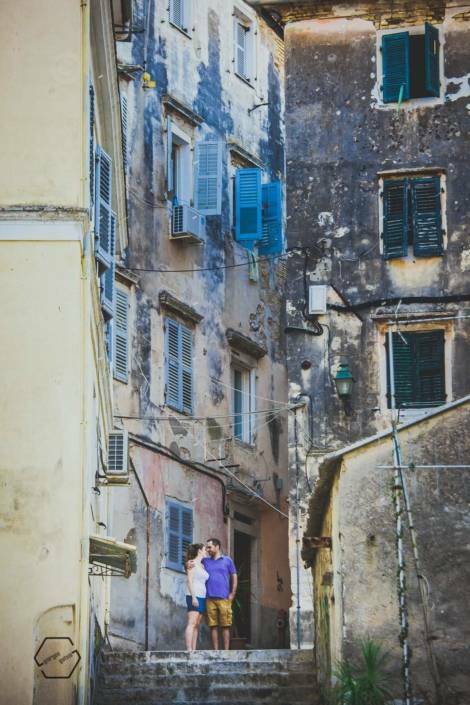 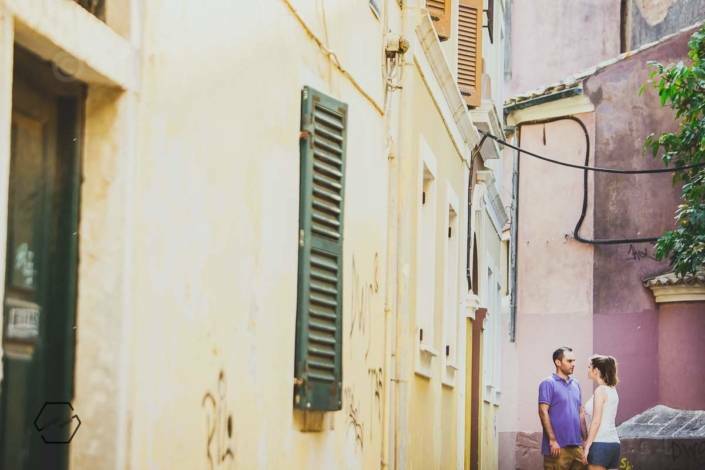 The old town of Corfu with the Venetian style, the narrow alleys and the colors of ocher and tile were our setting. 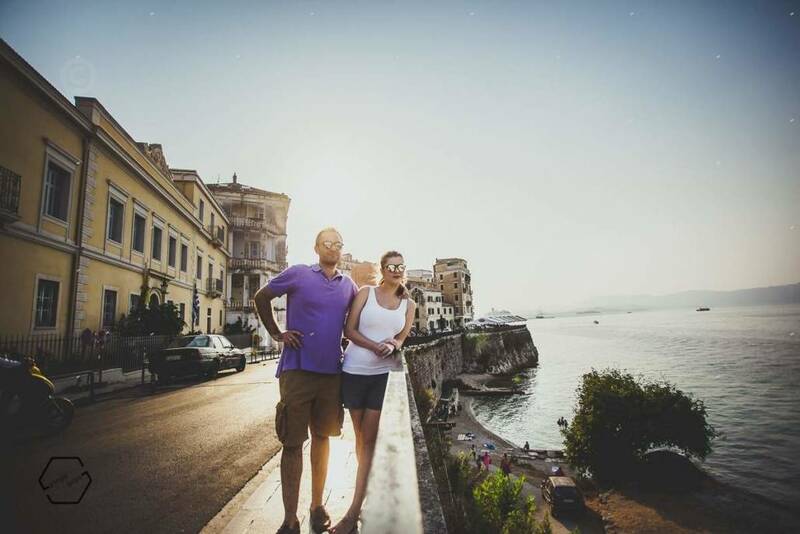 A romantic stroll that will give you great pictures enhanced by the sunlight playing with the narrow streets.